Ila Hatter Interview - "The Lady of the Forest"
Ila, known as THE LADY OF THE FOREST, is an interpretive naturalist, artist, wildcrafter, and gourmet cook with more than 25 years experience teaching the cultural heritage of native plants. She is a staff instructor for the Univ. of Tenn.s Smoky Mtn Field School, guest instructor for the Great Smoky Mountains Institute at Tremont, the John C. Campbell Folk School (Brasstown, NC), The Mountain Retreat Center (Highlands, NC), Snowbird Mtn Lodge (Robbinsville, NC), Charter Board Member of the Yellow Creek Botanical Institute; and Storyteller for Elderhostels in 3 states. She has been featured in major newspapers, magazines, and TV shows. Her distinctive skills were even sought out by CBS for the TV series Christy. The City of Knoxville, Tenn. commissioned Ila to coordinate and collect the natural history exhibit representing the Great Smoky Mtn. National Park in the citys Gateway Visitors Center. Hatter has recently released a series of instructional videos by her company, IRONWEED PRODUCTIONS , titled Wild Edibles & Medicinals of Southern Appalachia with authentic Appalachian music and folklore. She is the editor/publisher of Roadside Rambles, a collection of wild food recipes; and edited The Ethnobotany of the Cherokee, by Dr. William Banks, which will be published under the title: Plants of the Cherokee. Ila is featured with renowned Cherokee elder, Amanda Swimmer, in the newest release funded by the Great Smoky Mountain Association: a video titled Mountain Kitchen. UNC-TV (PBS) filmed Ila for the Folkways series with Host David Holt in a segment called Wildcrafting. She was recently featured on national RFD TV network during April and May 2003. TurnerSouth will air Southern Remedies with Ila, from the Great Smoky Mountain National Park Pioneer Farmstead, in June of 2003. A wonderful article on Ila appeared in nationally acclaimed COUNTRY magazine featuring wildflower folklore. The award winning OUR STATE magazine, in North Carolina, featured a 4 page article on how Ila sees and teaches the potential of weeds and wildflowers for the table and for the medicine cabinet. For Ila's current event schedule, CLICK HERE. An invaluable compilation of lore on the culture of the Eastern Band of Cherokee Indians that was once lost, is now found. In 1951, young Masters of Science candidate William Banks, studying under Dr. Aaron Sharp at the University of Tennessee, settled upon the idea of doing his thesis on the traditional uses of plants by the Cherokee Indians. Banks felt it would be the perfect melding of his academic interests in botany and anthropology. The following spring William and Mrs. Banks moved into a rented room on the Cherokee Indian Reservation in western North Carolina. Starting with a single contact (the librarian of the Cherokee Government School), Banks began networking until he had developed affiliations with 14 primary informants. He spent long days walking through the rich Appalachian forests and going over plant specimens with the knowledgeable elders and herb doctors. Nearly all the Cherokee he contacted were generous with their time and very cooperative; the few that werent said they feared that sharing their remedies might diminish their power. To reassure the participants, Banks pledged that he would never profit from the information he gleaned from the Cherokee. Over the course of three months, Banks repeatedly interviewed the elders and took meticulous notes on centuries of wisdom pertaining to more than 300 native and introduced plants. A major strength of his work was that he used University of Tennessee herbarium specimens, and identified each plant by both common and scientific names. 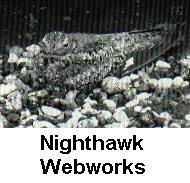 By using the latter, we can now know precisely which species the Cherokee informants were referring to. What Banks learned in 1952 would be impossible to garner today. For whatever reason, the elders Banks interviewed did not pass on much of their knowledge to the next generation. And, in an unfortunate twist of fate, the copies of the thesis that Banks gave to the University of Tennessee libraries, disappeared. Some 50 years after Banks made his sojourn to the reservation, his manuscript resurfaced. Naturalist and medicinal plant specialist Ila Hatter was giving an herb lore seminar at the Great Smoky Mountains Institute at Tremont. Hatter was approached by a student who said she had something in her attic the instructor might find interesting. It was the Banks manuscript. An enthusiastic member of Great Smoky Mountains Association, Hatter brought the manuscript to the Associations office at Great Smoky Mountains National Park headquarters. Association and National Park Service staff immediately recognized the value of the manuscript and contacted William Banks in Louisville, Kentucky for permission to publish it as a book. Banks agreed, but remembering his pledge a half century earlier, insisted that his royalties be donated to a fund that would benefit the Cherokee. In publishing the book, the Association updated the scientific plant names that had changed since the 50s, added plant illustration, but kept everything else pretty much the same. 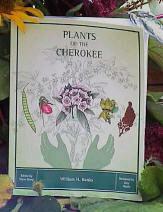 Plants of the Cherokees covers over 300 species of plants, from ferns to trees to wildflowers, and lists the many ways they were used by the Cherokee. Most of the uses are medicinal. There are treatments for coughs, colds, sore throat, measles, bee sting, snakebite, poor circulation, swollen feet, fever, indigestion, rheumatism, toothache, headache, complications during pregnancy, thrush, diabetes, cramps, bad memory, backache, fainting, even cancer and impotency. Although some of the ailments are unfamiliar to most modern Americans (bad disease, disordered saliva, dreaming of snakes,), their inclusion reveals precious details about the history of the Cherokee. Besides medicinals, the book includes edible plants and those the Cherokee used for hunting, fishing, basket weaving, carving, and for dyeing cloth. In addition to this information, Banks also included short essays on several important Cherokee activities with plant tie-ins: the green corn ceremony, basketry, sacred formulas, and the ball game. Plants of the Cherokee is available at Great Smoky Mountains National Park visitor centers and area bookstores for $11.95. It can also be ordered by contacting the Association at 1-888-898-9102 ext. 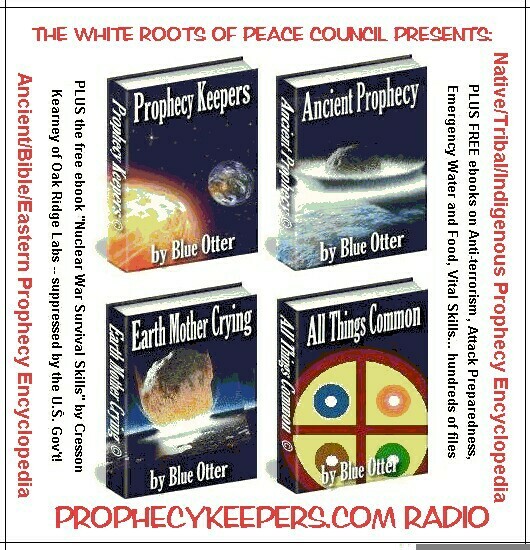 26 or www.SmokiesStore.org. Great Smoky Mountains Association is a private, nonprofit organization that has been assisting Great Smoky Mountains National Park since 1953. The association plans to provide over $1.4 million in assistance to the park this year.